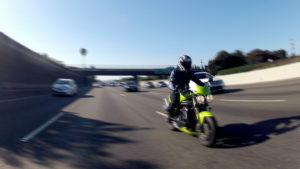 Are active safety features on motorcycles coming? Will rage make you a safer motorcycle rider? After reading Jessica Zimmer's article What to do when the green light never comes, I felt compelled to follow-up with my own input and experiences. This is something that happens to every rider and can continue infinitely unless something new triggers the light. As it turns out, Jessica is much more cautious than I am. Riding Tip of the Year: Don’t crash into things. ** A follow-up post has been made on this topic. See Another perspective on defective traffic signals Have you ever been at a traffic signal and your bike doesn’t trip the light? Is it safe to go, or do you need to wait for a car or truck to cause the trip device to work? Now, most people know that San Diego drivers don’t know how to drive in the rain. It’s not exactly their fault as it often goes months without raining in the city. Then, when the oil and dirt pile up, the roads are not easy to navigate. All this causes accidents and disasters for motorcycle riders. Justin Bieber, the pop music “teen heartthrob,” made headlines again for reckless behavior. This time his shenanigans almost led to the demise of an elderly woman with a walker who was simply strolling down the sidewalk in Los Angeles. What was Bieber’s offense? Riding his Can-Am Spyder motorcycle on the sidewalk. Why? To avoid traffic. Helmet-less Paradise, or a Recession of Logic? I Don’t Ride ATGATT: Do You? The Bike is Replaceable, You Are Not. Debris, Litter and Obstacles. Oh my! Is Your Helmet Certified? Does It Matter? THE CAR TURNED RIGHT IN FRONT OF ME! 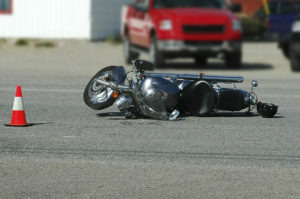 Motorcycle Accident Caused by Armor-All: Fact or Fiction? Ahhh, the time-honored tradition of the urban motorcycle myth. Some time ago, we did the Myth Busters' routine with regard to the so-called Harley Death Wobble. Based on our research, we were not able to bust that one. This weekend, another popular "urban myth" came up in conversation: The good old "Death by Amor-All" debate. 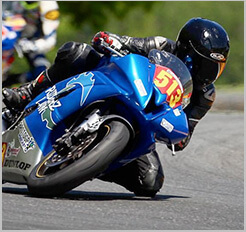 Question: Do Motorcycle Passengers in PA Need to Wear a Helmet? So You’re Back on a Motorcycle After Years Away From Riding? Harley Death Wobble: Fact or Fiction?